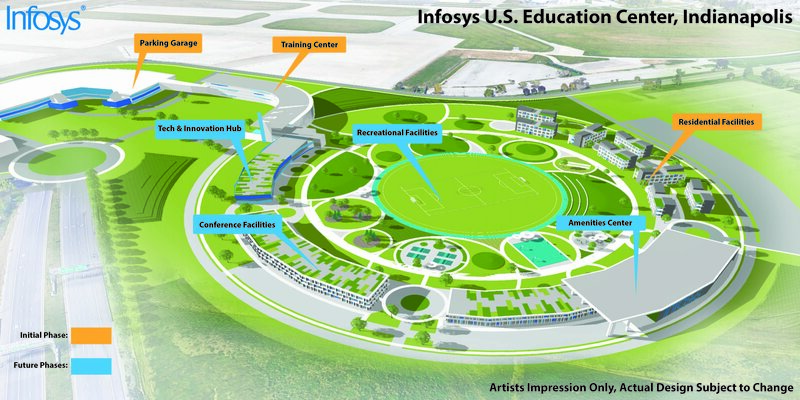 INDIANAPOLIS (April 26, 2018) – Infosys (NYSE: INFY), a global leader in consulting, technology and next-generation services, announced today its plans to establish a U.S. Education Center in Indianapolis to train its U.S. workers with 21st century skills. With its growth, the company plans to increase its workforce in Indiana to 3,000 by the end of 2023. 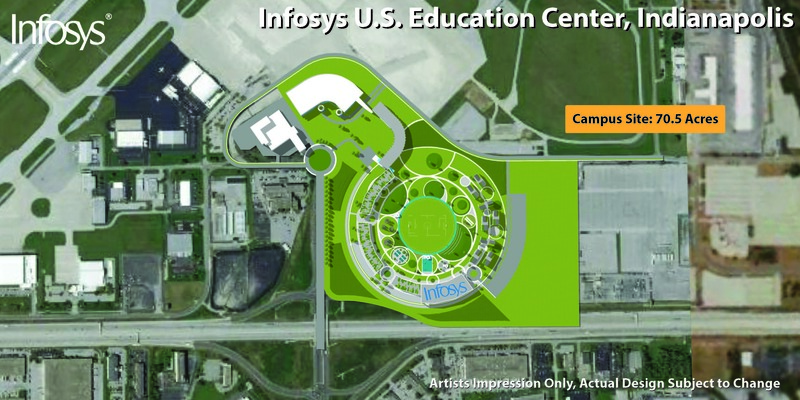 NOTE: Artist impressions of the future campus are available here – birds-eye view of future campus site, campus vision. Please note these are impressions only and are subject to change.